Hard water has a bigger effect on your home than you may initially have thought. There are plenty of common hard water problems that can cause troubles within your home. Why Fix Common Hard Water Problems? It’s important that if hard water is causing your problems in your home, they are fixed as soon as possible to avoid worsening the situation. Hard water is the result of minerals found in our drinking water that over time calcify on our taps and water appliances. It’s more common for this to happen on appliances that evaporate water or combine heat with water, as once the water evaporates it leaves behind the sediment. Which is why homeowners have to replace their kettle more than any other kitchen appliance in their home. 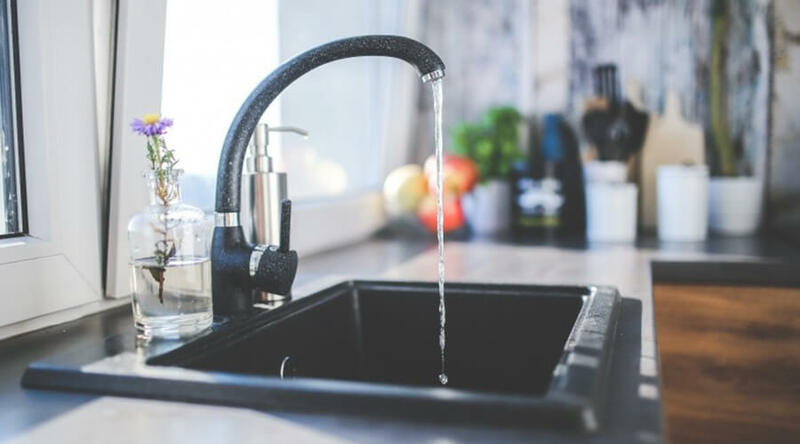 There are a number of warning signs to indicate that you have a hard water issue, and there are a few ways that you can resolve it. So if you want to reduce the problems hard water causes in your property then keep reading, as we’ve devised a list of the most common issues hard water causes. Like we previously mentioned, when hard water evaporates it leaves the leftover sediment and minerals on the surface. Which isn’t good news when trying to wash your car or clean your windows at home. No matter what products you use to clean with, if you have exceptionally hard water, it is almost impossible to clean something without having any water spots left over. Most car washing companies and professional window cleaners use soft water to ensure optimum cleanliness. The only way you can achieve this in the comfort of your own home is by having plumbers Milton Keynes installing a water softener. Not sure what a water softener is? Take a look at this article we wrote explaining the benefits of having a water softener. Although you cannot see hard water when it’s coming out of your shower head or taps, the minerals are still there and can even cause problems for yourself as well as your property. If you live in a hard water location on the hard water map, it’s likely that the water you wash your body and hair in could be affected by the sediment in hard water. Hair can become frizzy, brittle and break off from the effects of hard water. As well as this your skin can dry out and become flaky itchy or irritated. The only solution to this is religious moisturising or double washing your hair to ensure that the minerals don’t stick to your hair. You may find that the majority of your appliances that use water do not have as much longevity as compared to your electrical or gas run appliances. This is down to hard water; it can reduce the lifespan of your water using appliances, resulting in regular replacements or expensive repair costs. Some devices that may be affected are fridges, freezers, kettles, dishwashers and washing machines. One of the most costly repairs you could need would be your washing machine. The heating rod in your washing machine can become coated in limescale after prolonged exposing to sediment. Once this happens, it can completely stop your washing machine and cause it to malfunction, meaning that you need replacements or repairs which can be expensive dependant on the severity of damage. You may think the most common cause of clogged pipes and sewage backups are unsuitable items being flushed down the toilet. You are right, but not far behind hard water is a prevalent cause of pipe blockages as well as corrosion and backups. As water is continually passing through your sewage pipes, it becomes impossible for sediment to not settle in the pipes. And over time as this builds up, it becomes a more severe clog, which can reach the point of bursting if not discovered soon enough. As well as this, sediment in your toilet bowl over time can cause toilet back up’s and clogs that can flood your home if left. Pipe corrosion can lead to leaks and burst pipes, which if underneath your home can be a complicated repair as well as a costly one. Install a water softener to prevent hard water causing issues with your home’s pipes. Your boiler is one of the most important components of your property, controlling your access to hot water. As well as providing your home with central heating throughout the cold months. If your boiler isn’t working to full capacity, it can drive up your utility bills massively, which an added expense we are sure you don’t want to pay. Just like a washing machine, your boiler has a heating rod that heats up the water in your home. This can also suffer the same consequences as your washing machine; however, if this happens to your boiler, it can begin to kettle which is when your boiler overheats and makes boiling sounds that mimic a kettle. If this happens to you, do not panic. There are plenty of safety mechanisms incorporated into modern day boilers to prevent them from causing you harm or exploding. Contact gas safe engineers Aylesbury who can asses the situation and carry out any necessary repairs or replacements. We never recommend to any of our customers to carry out any plumbing maintenance themselves; you should always rely on a qualified professional to address the situation. Especially with boiler, which can be extremely harmful and produce poisonous gases if they are altered or replaced by an inexperienced person. Although you may not see hard water in your property as a big deal, it can be if you live in a severely affected area. Take a look at this hard water map of the UK to find out how badly your property could be affected. You can reduce hard water in your property by installing a water softener to your plumbing works. If you want to filter your drinking water, you can use a water filter and keep it stored in the fridge to ensure that you have pure drinking water – not that drinking hard water causes any health issues.